Want to see your iPhone photos printed out but not sure where to start? In this article you’ll discover 10 of the best iPhone photo printing apps. You’ll find an app for everything from simple prints to gift ideas. There are even photo printing apps that will allow you to make money from your images. Shutterfly is a well-liked popular photo printing app offering a range of print products to showcase your favorite photos. A big attraction of this app is the promise of unlimited 4″x4″ and 4″x6″ prints. This is an app only offer that you won’t benefit from if you use the website but it is available to new and existing Shutterfly customers. You’ll just need to pay the shipping costs. Orders are processed in the US but international shipping is available. If you’re in the US you can even benefit from a 1-hour pickup service of 4×6 glossy prints from your local Target, Walgreens or CVS Pharmacy but further afield and you will be waiting considerably longer for your prints. Look out for the ‘app insider perks’ section within the app where you’ll get a list of codes to benefit from current promotional deals. Many of these are specifically available to app users. These deals regularly change so remember to check this section each time you go to order something. Shutterfly also works as a good photo storage option to free up space on your iPhone. The app gives you unlimited free photo storage. Upload your photos directly from your iPhone camera roll and then have them ready to access for your next print project from any device. You can also rest assured that this is a good photo back-up option as the app promises never to delete your photos. It’s all too easy to fill up space on your iPhone and in cloud storage with photos so printing regularly is a good idea to manage what can quickly become a huge collection of photos. With the Free Prints photo printing app you are encouraged to make the most of your free quota by ordering prints regularly. You’ll get 45 free 6×4 prints per month. The restriction being that you can only get 1 print of each photo so no multi ordering of the same photo. Make use of your full monthly free allowance and you can look forward to receiving 500 free prints a year. You can’t roll over any unused prints to the following month so make sure you get your full order in on time. However, you can add to your free amount by referring friends to the app and sharing the app details on Twitter. Select the photos you’d like to print easily from your phone by linking to your camera roll, Instagram, Facebook and more. You’ll then be able to crop, resize, zoom and rotate your photos in the app to ensure you get the perfect print. If you want more than the set amount of free prints in a month you will need to pay for extras. You’ll also need to pay if you want prints in any of the other sizes offered by the app. Shipping costs will also be down to you to pay, but these are minimal, making the free prints well worth having. All printing for the app is done in the UK. With Casetify you can get those photos out of your iPhone and on to the outside – literally. The app offers plenty of templates for you to pick and choose from and add photos to truly personalize your iPhone case. There are plenty of in-app editing tools and filter options allowing you to tweak your image to perfection before buying. You can go for a single image or create a collage by easily selecting images for upload directly from your camera roll. The cases are available for models of iPhone, from the iPhone 4/4S all the way through to the newer iPhone X camera. The cases are both slimline and durable offering great protection for your phone in a one-of-a kind design. The app also offers a stylish range of pre-designed cases for other Apple products including iPads, MacBooks and the Apple Watch. Apple Pay is now possible when using the app so this simplifies the order process even more with no need to enter card details and fill in address details. You’ll also benefit from no delivery costs wherever you are with free shipping offered worldwide. Snapfish offers a wide range of standard prints, canvases and gift options for your photos. You can easily import your photos to the app directly from your photo gallery or from other apps such as Instagram, Facebook and Google Photos. As a sideline to the Snapfish apps main business as a photo printing app you’ll also benefit from unlimited free storage space for your photos at full resolution. Once you have imported photos to the app, which can be done easily in large batches, your photos remain there for you to work on print projects. The app offers some handy tools for fine-tuning your photos such as red-eye reduction and some basic editing tools ensuring that any you choose to print are optimised. Snapfish is not based in a single country and instead has bases in Europe, North America, and Asia Pacific. Handy for keeping the delivery charges down if you are based in one of their locations. Currently on sign up to the app you are offered 50 free prints a month but note that this is only if you are new to Snapfish. If you log into the app with an account that you previously registered on the website version, you won’t benefit from the free prints offer. Print Studio is developed specifically with iPhone and Instagram users in mind. When the Instagram square format was not the norm for printing, Print Studio was there and ready to translate your images to print in the same format as they were shared online. Beautifully presented orders of cards are a strength of this app. You’ll enjoy receiving the order as much as sending them on to others. There is a great selection of sizes on offer with the mini squares being a particular favorite unique to this app. In addition to the lovely cards produced by Print Studio they also excel in the production of photobooks. With a wide selection of book cover colors on offer and options of softcover, hardcover, lay flat and even mini books you’ll be spoilt for choice. Bulk purchase is the standard order option for the smaller prints and cards. Typically order 24 or 48 prints that you can easily select from your Instagram account or camera roll. A great excuse to order more than you planned! 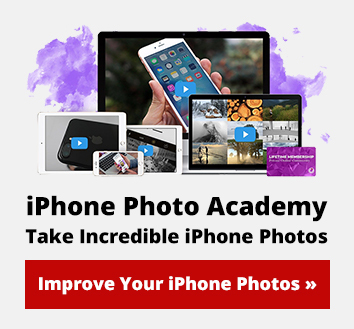 With this free app you can join many other iPhone photographers in making your images available. The app allows other users to purchase your uploaded photos in a variety of formats. You’re able to follow your favorite photographers and equally other people can follow you. There’s a shop within the app where your images can find themselves on, amongst many other items, anything from pillows to notebooks and bags to framed prints. In using the app you’ll retain all the rights to your images but give Society 6 permission to reproduce, modify and distribute your content. The app deducts a selling fee from the total selling price, and you get to keep the difference. If you’re looking for same day pick-up of your photos, then the pharmacy, Walgreens, offer a great service. However, you’ll have to be in the US to make use of this app. The app allows you to print photos directly from your iPhone. This includes photos from popular social media accounts such as Facebook and Instagram. You can then pick them up on the same day from your local Walgreens store. The same day pick up service is free and isn’t restricted to prints. You can also arrange for speedy collection of greeting cards, photo books and wall canvases featuring your favorite photos. The app allows you to upload images in large batches making it simple and time effective to use. Aside from the same day pick up, there’s a range of photo products which can be ordered for home delivery. These will typically take 1 to 5 days to reach you. Truprint was an established printing business for film cameras long before the digital age. The business has successfully transitioned from film roll development in the 80’s through to the present day. Digital printing with the Truprint photo printing app now offers a huge range of print products. With so many print apps available it’s very much a case of personal preference based on unique features. One of Truprint’s strengths lies in the huge amount of options available for creating greeting cards from your photos. The app links to your camera roll and social media accounts. You can then drag and drop selected photos into the card templates. There are useful on-screen prompts giving tips on how to get the best out of the process. Additional niceties, like rounded-corners for gift cards and choice of paper type, make this app stand out above similar apps. The app is primarily for the European market. It promises fast delivery for UK orders with an additional few days wait for deliveries to the EU. The app will usefully allow you to use PayPal to pay for your print orders. Take the hassle and expense out of using a photo booth or photographer to update your photo ID with this app. Passport Photo holds data on the passport photo requirements for 100 countries making the whole process straightforward. Upload a photo directly from your iPhone camera roll or use the iPhone camera within the app. Then the helpful guidelines and built-in templates will make sure that you size, position and crop the photo to meet country-specific passport application requirements. The in-app editing tools also allow you to adjust the image saturation, brightness and contrast to help you end up with an ID photo that you are pleased with. You can also add a border to the photo if you wish. You can print a 3.5″ x 4.5″ image for free. However, you’ll be asked to pay to get access to certain paper sizes and for multiple images on a single sheet. The app charges a small fee for unlocking all the papers sizes. As well as printing photos prepared in the app directly from the app, the option is also there to email and store the photos. If you want instant prints, it’s likely there’s an app dedicated to your printer. This will streamline the printing process at home. You’ll be able to print wirelessly directly from your iPhone to a wi-fi connected printer. There are dedicated brand apps such as Epson iPrint and HP Smart. Some brand-specific printer apps are better than others. If you aren’t impressed by the app for your printer, try a generic one that’ll work with many different printers. Printer Pro is a generic app that will work with a wide variety of printer models. It will allow you to print pretty much anything directly from your iPhone. Print emails, web pages, contact lists and more as well as photos directly from your gallery. You’ll have to pay for the full version – currently $2.99 in the app store. However, there is a free version, Printer Pro Lite, that will allow you to try before you buy.